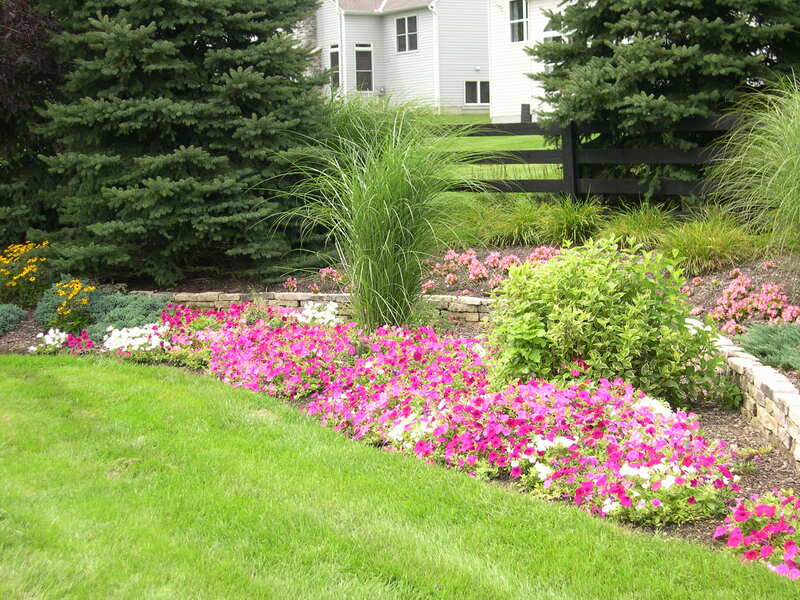 Village Landscapes, Ltd. of Central Ohio, provides both commercial and residential services throughout the Central Ohio area. Landscape Services include maintenance of plants along with landscape manicures and seasonal grooming. We offer landscape maintenance and property maintenance services including mowing, edging, tree, shrub and perennial care, spring cleanups with mulching, fall cleanups with leaf removal. Modern, well-maintained equipment and machinery is a priority in our Lawn Care Services division. We are proud that our crew members share our commitment to high standards and aspire to meet the needs of individual customers. The result is a professional, precise, manicured landscape with a pleasing appearance – and a satisfied client! Landscape Maintenance Complete landscape maintenance including shrub pruning, edging and mulching of beds, leaf removal, etc.